Home → Tax Documents → 10 IRS Red Flags: Are you in danger of an audit? 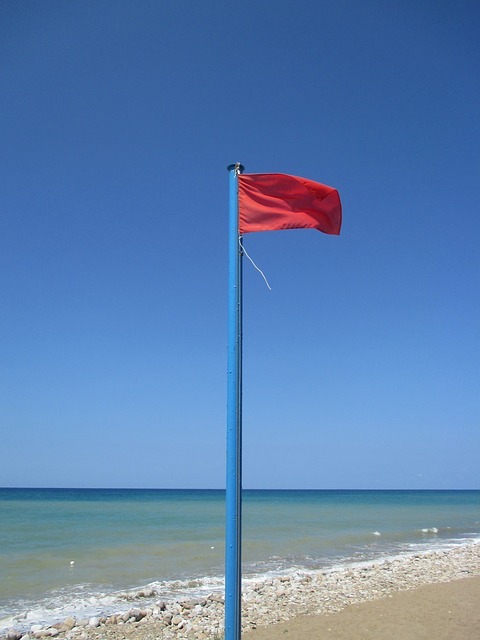 Did you know that there are several critical red flags in your tax return that will almost certainly draw higher scrutiny by the IRS? It’s true—the Internal Revenue Service uses both automated and human processes when selecting which tax returns to audit. Each return is compared with certain statistical norms, and any with anomalies are at greater risk of being chosen for an audit. Misreporting of income. The income reported on your Form W-2 & 1099s must match what is reported on your tax return. Any discrepancy automatically sends up a red flag to the IRS computers. Foreign income. Are you accounting for any money made overseas? The Foreign Account Tax Compliant Act has very strict reporting requirements for foreign bank accounts. Overseas banks are now required to identify American asset holders and provide information to the IRS. Comingling of personal and business expenses. The IRS uses occupational codes to measure the typical amounts of expenses a profession should have in categories such as travel or meals & entertainment. If your expenses go over a certain threshold for your occupational code, your return may be flagged for a potential audit. Also, if you have a “take-home” vehicle (i.e., a company car you bring home at night), the IRS doesn’t consider it to be strictly for business—so don’t try to expense it 100%. If you do, an audit is likely invited. Adjusted Gross Income over $200K. According to 2014 IRS data (2015 results are unknown at this time), only about 1% of taxpayers earning under $200K were audited compared to about 4% of those earning more than $200K. And if a taxpayer earns over $1M, this percentage increases to 12.5%. This is also true for business tax returns. The more money you earn, the more scrutiny you’ll receive. Charitable contributions. If donations are disproportionately large compared to income, there is cause for concern. The IRS knows what the average charitable donation is for different income levels. It’s also important to get an appraisal for donations of valuable property, and to be sure that Form 8283 is filed for noncash donations over $500. Real estate losses claimed by real estate professionals. IRS agents often pull tax returns of individuals who claim they are real estate professionals and whose W-2 forms or other non-real estate Schedule C businesses show lots of income. The agents are checking to see whether the necessary hours have been worked to claim the title of real estate professional. Taking an alimony deduction. Certain requirements must be met in order to claim alimony as a deduction. Payments must be made in cash and be in accordance with the divorce or separate maintenance decree. Note that the decree cannot say the payment isn’t alimony, and that alimony doesn’t include child support or noncash property settlements. Hobby losses. To be eligible to deduct a loss, a taxpayer must be running the activity in a business-like manner and have a reasonable expectation of making a profit. If your activity has profit three out of every five years (or two out of seven years for horse breeding), the law presumes you are in business to make a profit. Taking an early payout for an IRA or 401(k) account. If you take a payout before age 59 ½, your reason must comply with certain exceptions in order to avoid the 10% early withdraw penalty. Agents will be analyzing all early withdrawals to see if they can legally escape the penalty. Deducting day-trading losses on Schedule C. The expenses of traders are 100% deductible and reported on Schedule C, and profits are exempt from self-employment tax. Losses of traders who make a special Section 475(f) election are also fully deductible as ordinary losses not subject to the $3K cap on capital losses. However, it’s important to note that to qualify as a trader, a taxpayer must buy and sell securities frequently and look to make money on short-term swings in prices. In addition, trading activities must be continuous. If any of these red flags has you questioning your tax returns or your accounting processes, please give McIlvain & Associates a call. Our staff is well-versed in helping clients prepare flawless paperwork and plan efficiently for both short- and long-term financial goals.